The Jordaan district is a trendy, charming area in Amsterdam full of boutiques, cafes and cobblestone streets. 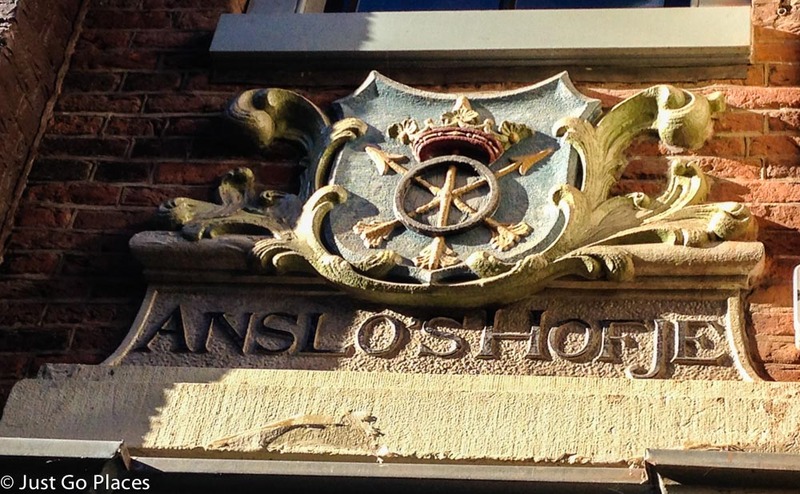 Built in 1612 to house the working class, the neighbourhood now has a gentrified population of creatives and professionals. 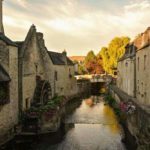 The peaceful streets and canals transport you to a completely different world away from the noise and crowds of the area around Central Station. 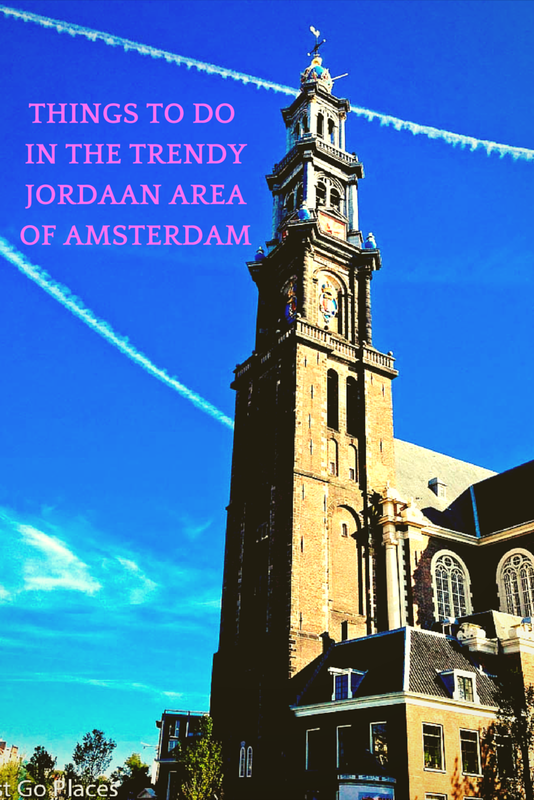 Yet, the Jordaan is only about a 10 minute walk from tourist central, Dam Square. 5 Join our growing community of readers! Behind the pretty facades of the houses, there were beautiful not-so-secret inner courtyards for the benefit of the locals (and nosy tourists). 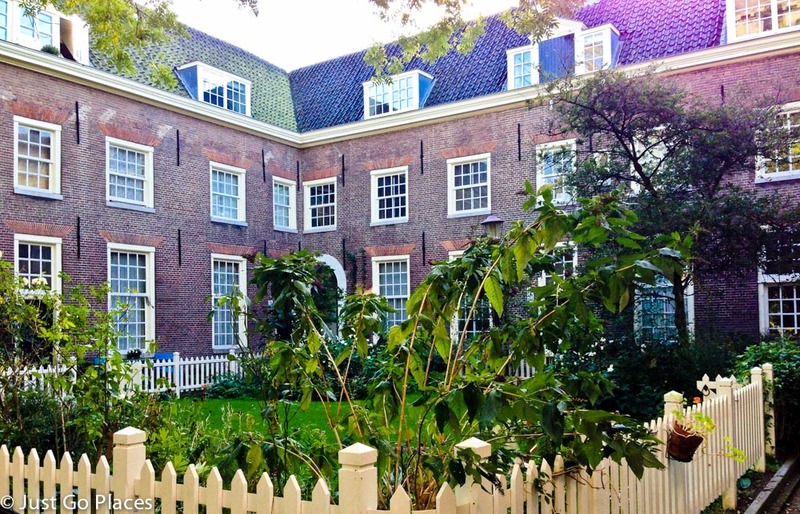 For example, across from the Noorderspeltuin (a large playground) was the courtyard of the buildings on the Karthuizerstreet. 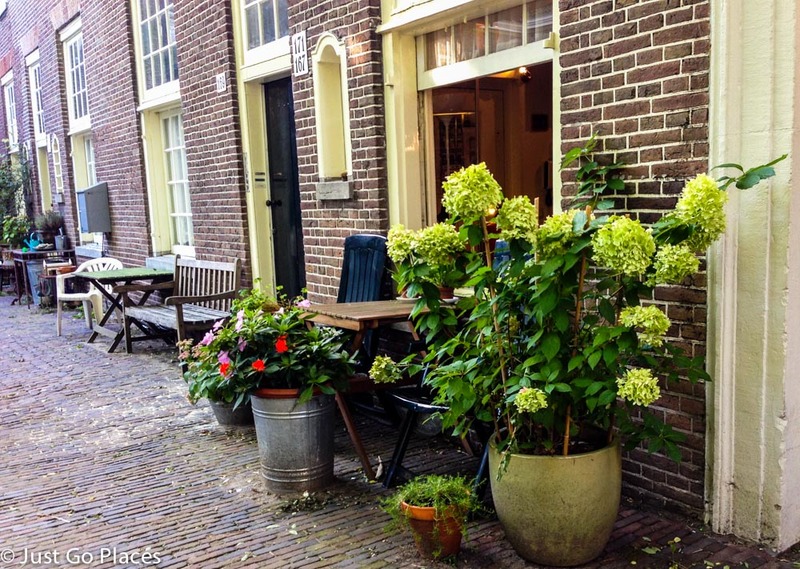 Amsterdam has 47 such courtyards and most of them are in the Jordaan. 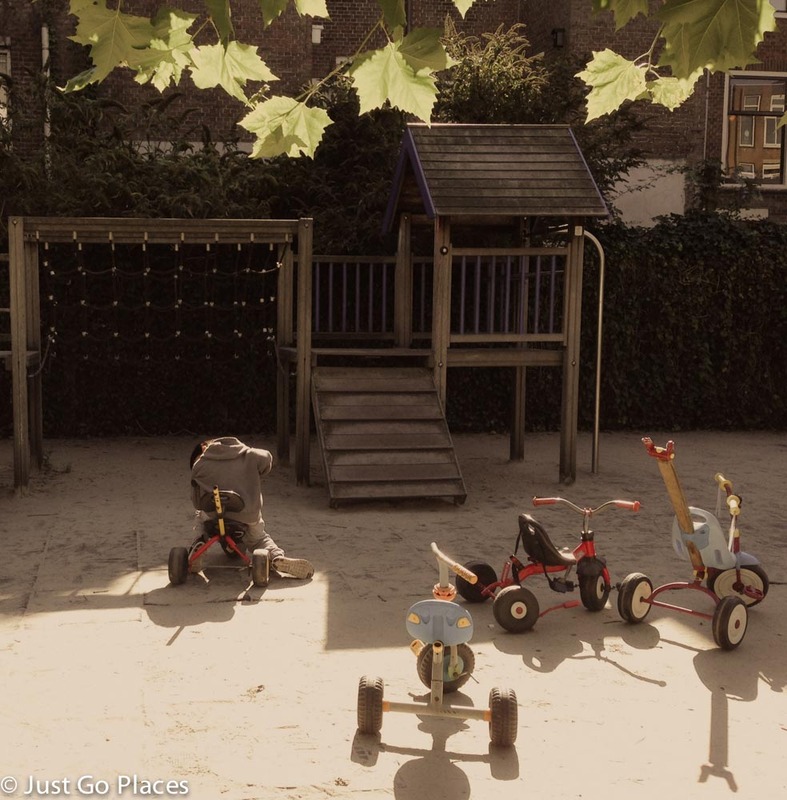 The playgrounds are sprinkled throughout the streets. One of the playgrounds we saw had chickens and a rabbit. The building residents had left scooters and bicycles around as well which our children enjoyed borrowing. 2. If you are feeling brave, you can rent boats of the Jordaan canals. You will have to share canal space with other ‘real’ boats going about their everyday business so make sure you know what you are doing! You can rent electric boats from Sloepdelen and pedal boats from Canelbike. 3. 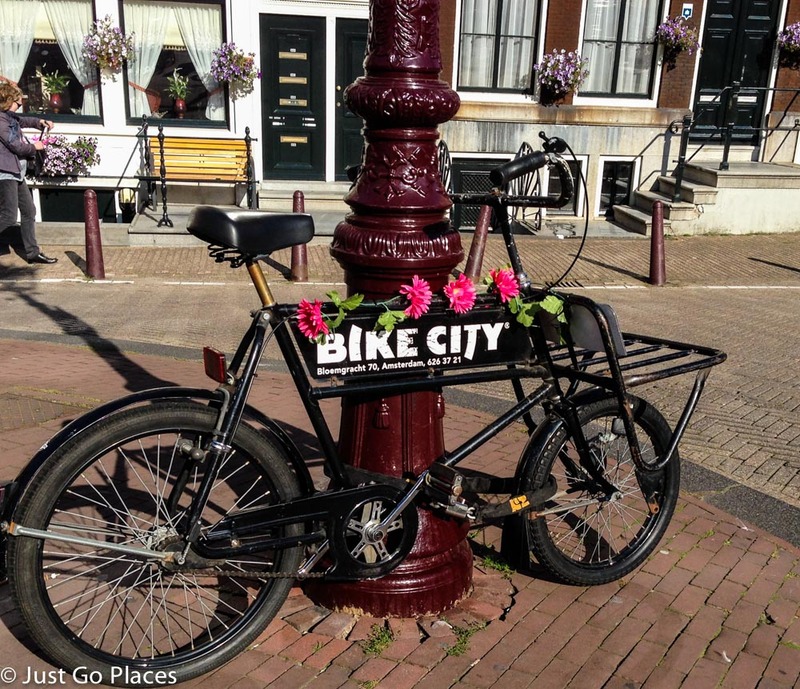 Rent a bike from Workcycle or Bike City and pedal around the charming streets. 4. 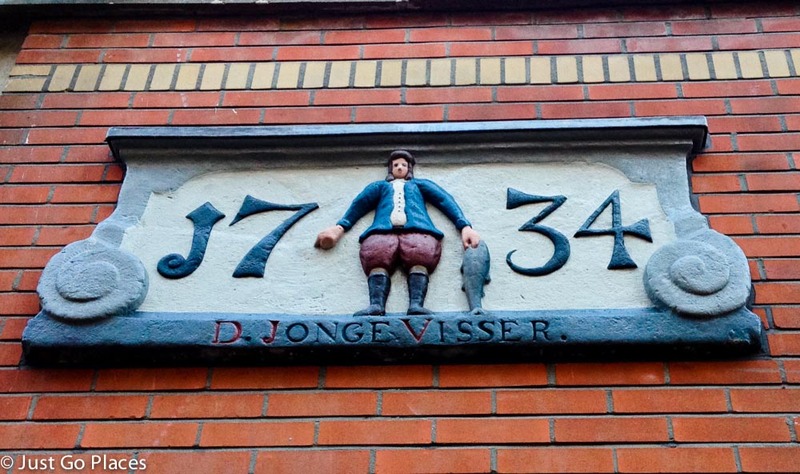 Go hunting for stone tablets that grace the buildings of the Jordaan. In the old days, these tablets would indicate the profession of the people inside. In the 16th century, these tablets were used as signs instead of wooden gables that blocked the little streets. 5. Hang out in sunshine at one of the local cafes and watch life go by. We liked eating crepes on the Prinsengracht across from the Anne Frank House. 6. Try the best apple pie in Amsterdam at Cafe Winkel right near the Noordermarkt. 7. Not feeling in the mood for apple pie? Other cafes to try are Cafe Finch also near the Noordermarkt and Moods Coffee Corner (at Lindengracht 249) for coffee and cake. 8. Sometimes only ice-cream will do. For a high-value and yummy treat, check out Monte Pelmo which has been voted the best ice cream in Amsterdam. 9. If you want something more substantial, check out Caffe de Curtis (Italian food), Manger Maintenant (French food to take away) and Toscanini (more Italian food). 10. 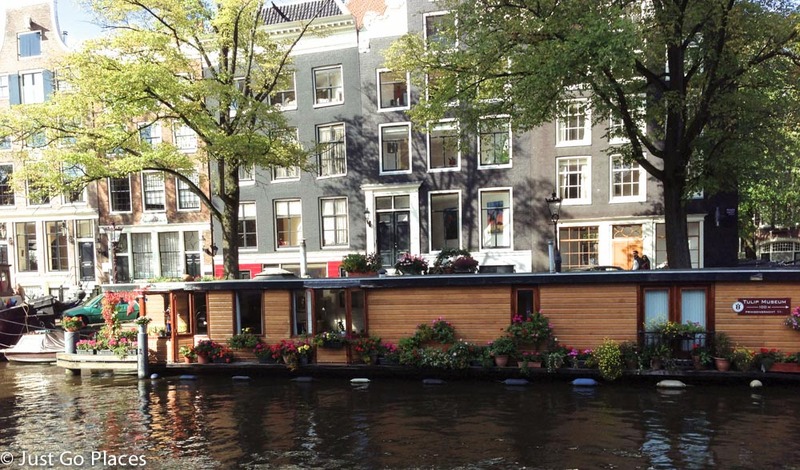 Have a snoop around some of the beautifully decorated houseboats especially on the Prinsengracht. 11. The Houseboat Museum on Prinsengracht as well is really fascinating for a glimpse into how people live on houseboats. An added bonus for children is that it is not very big. 12. 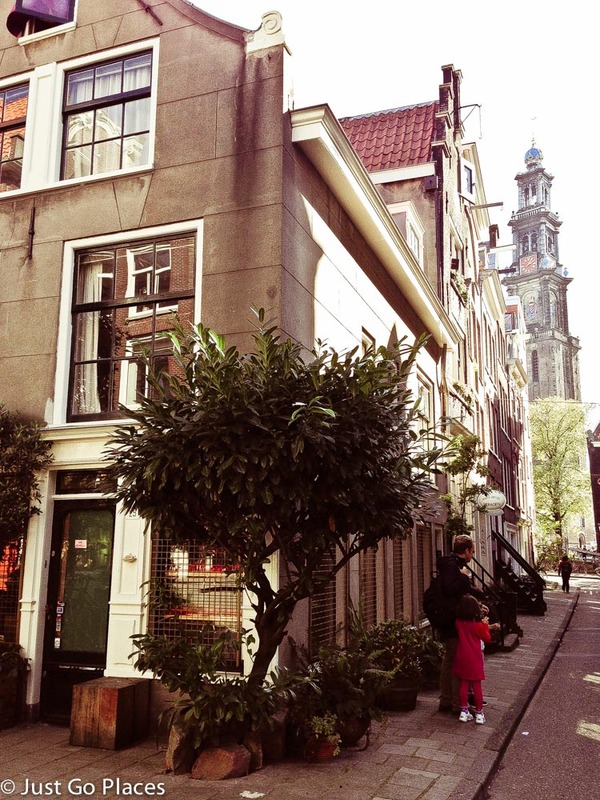 On the Jordaan border because of its location on the Prinsengracht, the Anne Frank House is a must-visit in the area. As most people know, the Anne Frank House is where a Jewish teenage girl wrote her famous diary when she and her family were hiding from the Nazis. 13. Next door to the Anne Frank House is the Westerkerk which is still a working church. Rembrandt is buried here. From the tower, you have great views over the city. 14. 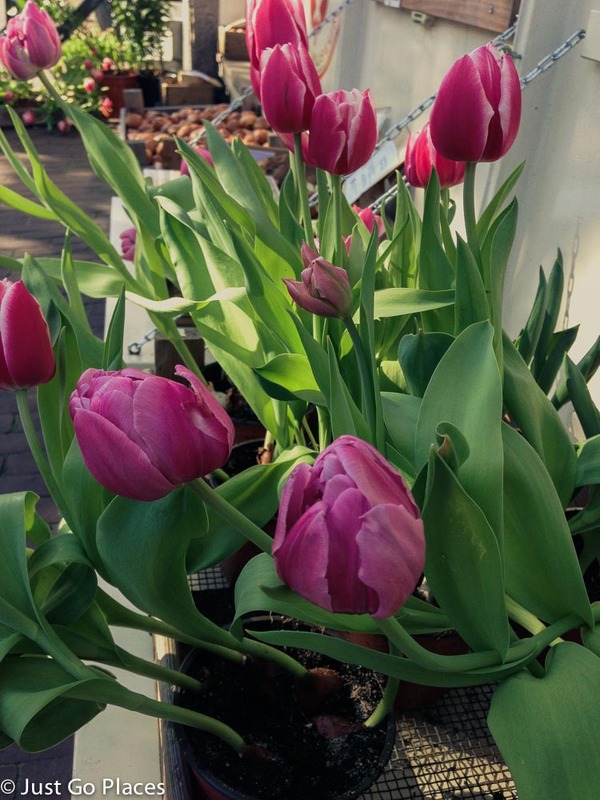 The Amsterdam Tulip Museum is interesting if you really like tulips but a browse through their store (free of charge) is probably enough for most children. 15. 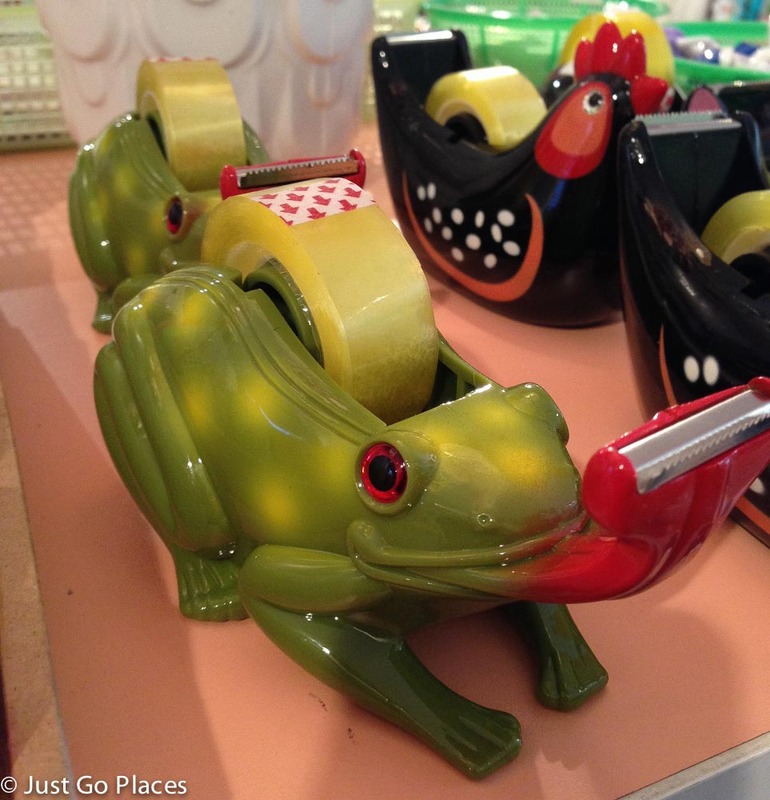 There are lots of quirky little stores and boutiques to explore. My kids were fascinated with all the Japanese items at Roppongi as well as the truly kitschy Kitsch Kitchen both on Rozengracht. 16. The antiques market on Elandsgracht is open every day but there are other markets open as well on other days as well such as the Noordermarkt (a farmers’ market and flea market) on Saturdays. Our kids love looking for random things in street markets. 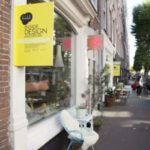 There is plenty to do in Jordaan that you can while away the hours in this neighbourhood. I’ve kept the suggested activities to what I consider the most interesting part of the Jordaan. We stayed in this part of the Jordaan north of Rozengracht because there’s a lot of walking involved otherwise. We still used a carrot on a stick approach with the children (a bit of sightseeing or shopping mixed in with playgrounds and snack breaks) to see the neighbourhood. 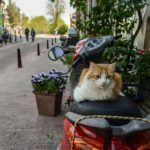 Have you been to the Jordaan? Do you have any suggestions for family-friendly activities that I have missed?